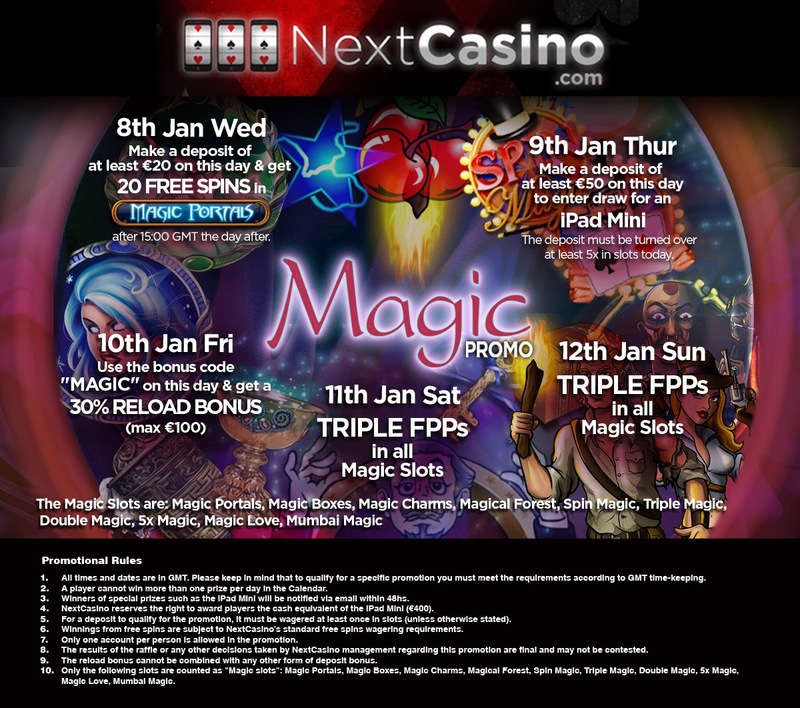 8th of Jan: Make a deposit of at least €20 and get 20 free spins in Magic Portals after 15:00 GMT the day after. 9th of Jan: Deposit at least €50 and be entered into the draw for an iPad Mini. The deposit must be turned over at least 5 times in slots on the day. The promotion includes the following games: Magic Portals, Magic Boxes, Magic Charms, Magical Forest, Spin Magic, Triple Magic, Double Magic, 5x Magic, Magic Love and Mumbai Magic. 8 Jan 2014-Offer valid as of date published. T&Cs apply.